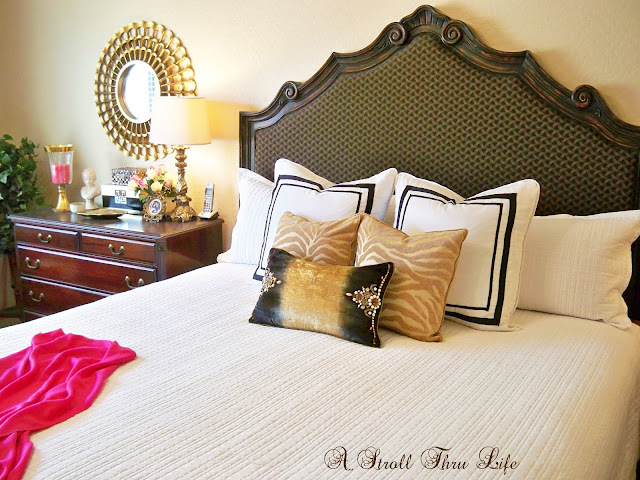 A Stroll Thru Life revealed her master bedroom makeover with a tutorial on how she created those gorgeous custom euro shams. 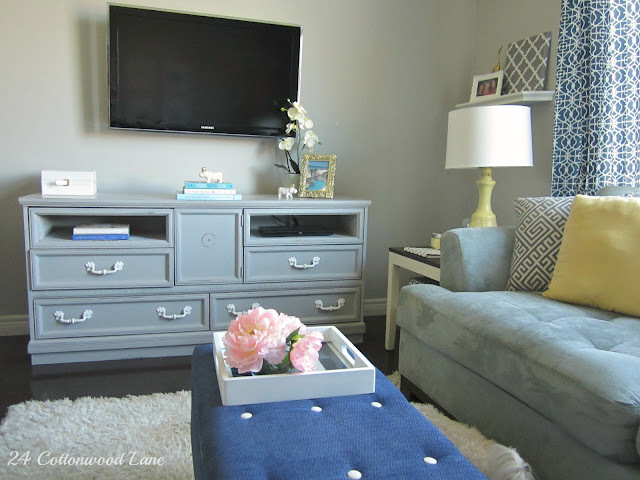 24 Cottonwood Lane upcycled an old dresser and transformed it into this media unit. 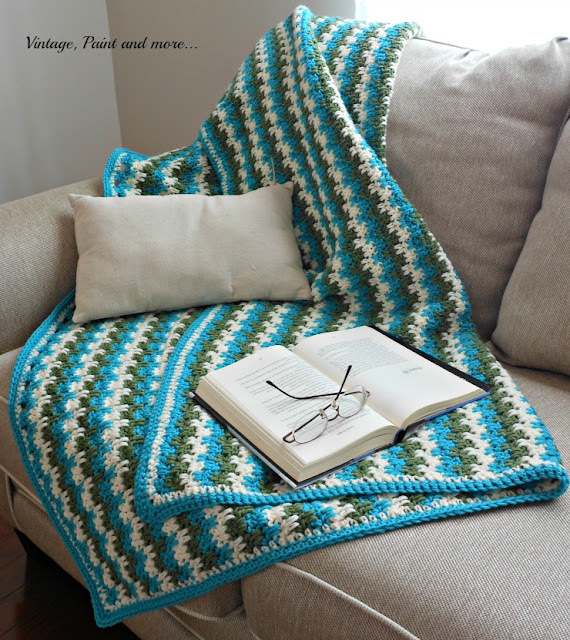 Vintage Paint and More crocheted this gorgeous afghan. Love it! 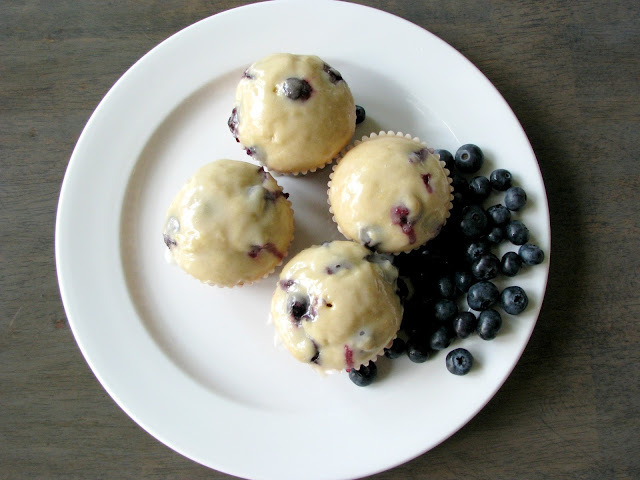 Live Love Larson shared a recipe for these delicious blueberry donut muffins with lemon glaze. Thanks so much for hosting! Love those features... especially the blanket. Have a super week! Thank you for hosting dear lady and have a great week! Oh wow, what a surprise, thanks so much for the feature and for hosting. Hope you had a great 4th!! Thanks again for hosting! Thank you for hosting Sizzle Into Summer 226. Great features. Lovely features! Marty's bedroom is gorgeous! Thank you so much for hosting! !